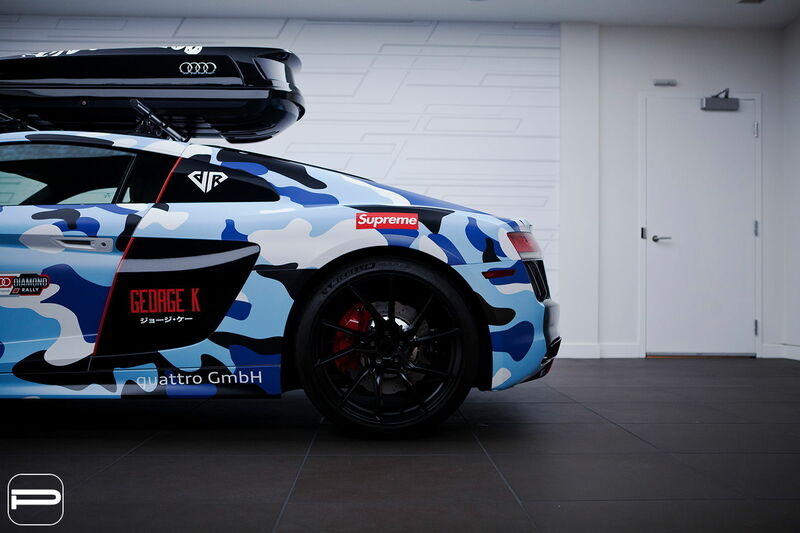 Check out this camouflage Audi R8. With a loud exterior it needed a set of wheels that was more mellow but still maintained the sporty appeal of the R8. A set of monoblock flow form FL26’s in a staggered twenty inch fitment were mounted on to complete the package. The matte black finish ties together the camouflage with the wheels without compromising the look of either.